I’ve attended over 100 tech conferences — and spoken at most of them. I love speaking to crowds, but as soon as I find myself actually in the crowd, faced with the threat of casual conversation, I get nervous. I worry about who to approach, what to say to them, and how to stop talking to them eventually. I think its due to my social anxiety that I put extra effort into the social aspects of the events that I organize--because I don’t want to put others in the same situations that I dread. 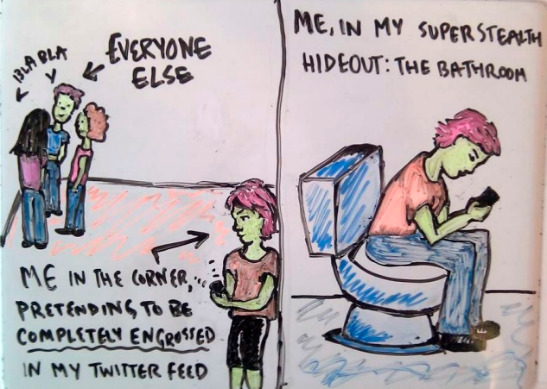 I am now actively working to be less socially anxious, but in the meantime, I want socializing to be easier for everyone. That’s why I’ve put together a website called Project IceBreak. It’s a collection of tips for attendees and ideas for organizers that I’ve been blogging over the years, plus an Etsy store with a few supplies. 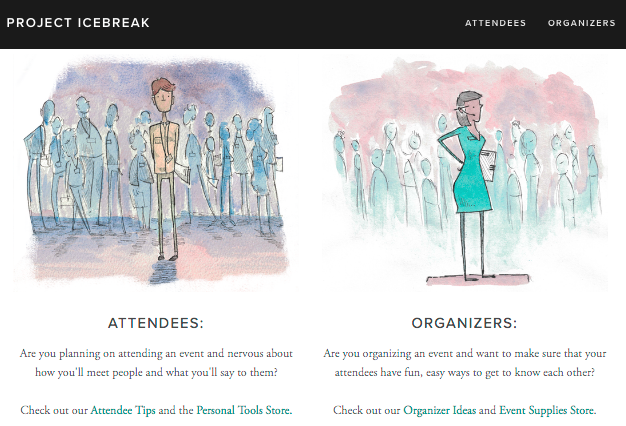 The website has sections both for attendees and organizers, but the meat of it is about what you can do as an organizing- because there are a lot of ways you can give your attendees more ways to connect. That might sound intimidating, but here’s the thing: sometimes it takes just one tweak to an event to make it easier to meet people. For example, every speaker can start off their talk with “Now introduce yourself to the person next to you and tell them one thing you learned today.” That’s already one new guaranteed connection per talk for all your attendees! So please, share this site with any event organizers that you know. Networking can — and should — be easier. Thank you!